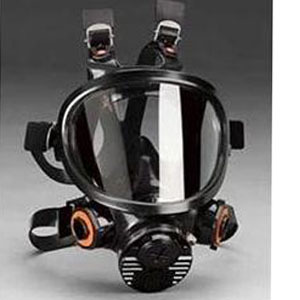 The 3M™ 7800S Full Face respirator is a durable elastomeric facepiece designed for a wide range of applications. The full facepiece is made of silicone and features a double-flap face seal and six easy-adjusting straps. The facepiece is soft and pliable with a scratch-resistant lens which provides the wearer an unobstructed view.